Coopers are one of the best rated driving schools in Herefordfordshire and we provide driving tuition with professional and friendly instructors. Learning to drive should be enjoyable, so we will help make the process simple and give you the skills and experience you need to pass your test first time. Our instructors are here to help with everything you need, from applying for your provisional, to giving you the driving skills to be safe on the road for life. in most areas. We also offer help with theory training, including in-car theory sessions and a monthly theory training workshop. the test in a short space of time. 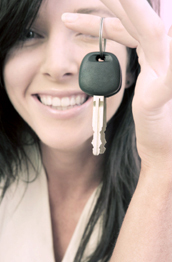 Intensive courses generally have very high pass rates and a fun way to pass the driving test. Please see our section on intensive driving courses in Hereford for more information. For those under 17, we also hold regular off-road driving lessons - please call for more details! We also offer a free motorway driving lesson once you have passed your driving test. We cover all areas around Hereford and Herefordshire, including Hereford, Ross-on-wye, Bromyard, Ledbury, Leominster, Pontrila, Kington, Ludlow and Bromyard in both manual and automatic cars. guarantee on lessons. If you are not completely satisfied with your lesson, then we return youhome and will not charge for the lesson.